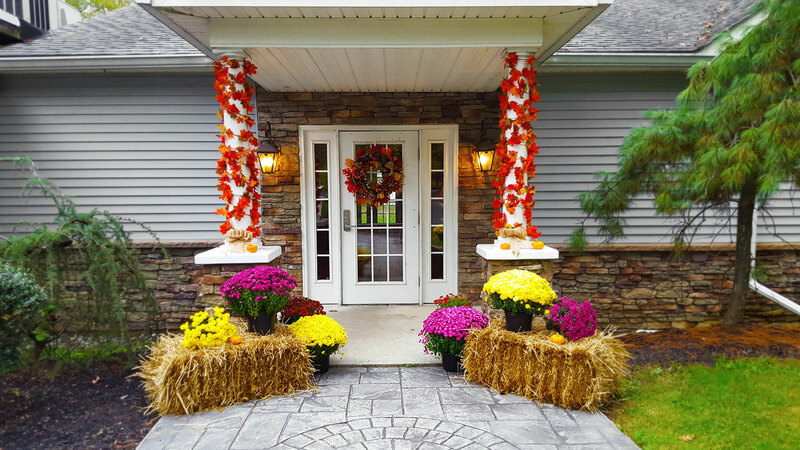 See how easy entertaining can be when planning your next event with Saucon Valley Acres assisting you every step of the way. In this picturesque and charmingly rural setting, we have all the facilities you’ll need for a perfect wedding reception. If you have a question, you're probably not the only one. Find out the answers to some of the most commonly asked questions. Our previous clients haven't been disappointed, and neither will you. Read what they have to say about our service and venue. The “best kept secret” in The Lehigh Valley: Weddings, Catering, Banquets, Celebrations. Saucon Valley Acres. Congratulations to the newly engaged! In this picturesque, rural setting, we have all the facilities you’ll need for a perfect wedding reception. Celebrate the end of the season or recognizing someone special with us. Host your next banquet or luncheon at our perfect setting! 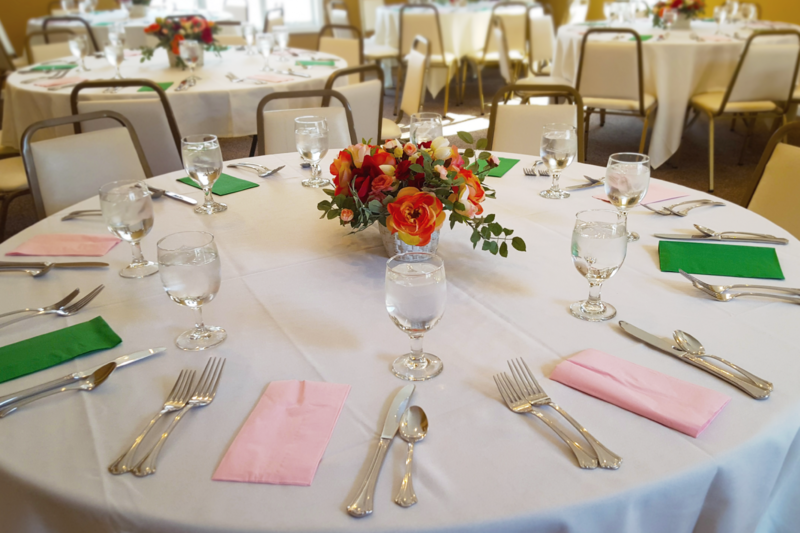 While you may provide your own music, florist, centerpieces, and/or decorating crew, Saucon Valley Acres also offers catering perfect for your event! For the past 25 years, Saucon Valley Acres has been considered one of the Lehigh Valley’s “best kept secrets.” We provide a picturesque, rural setting, to set the stage for the most perfect wedding day or social event for you. We are proud to invite you to experience this wonderfully unique setting. 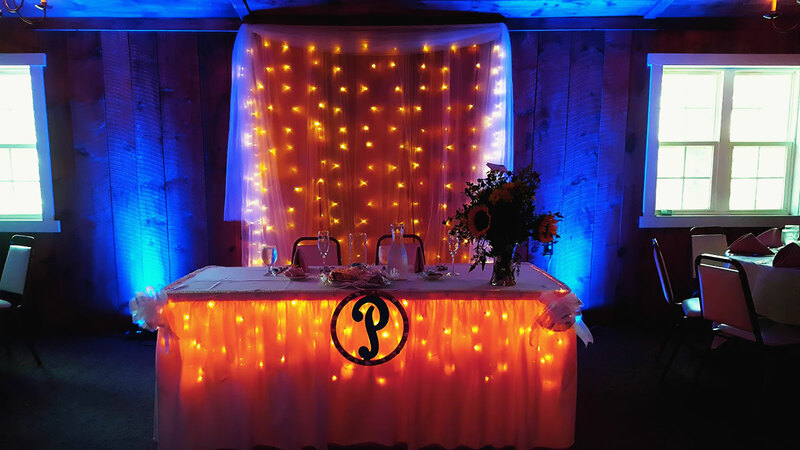 What sets Saucon Valley Acres apart from other special event venues is that the proprietors are a part of the fully trained professional team behind making your wedding or event great. 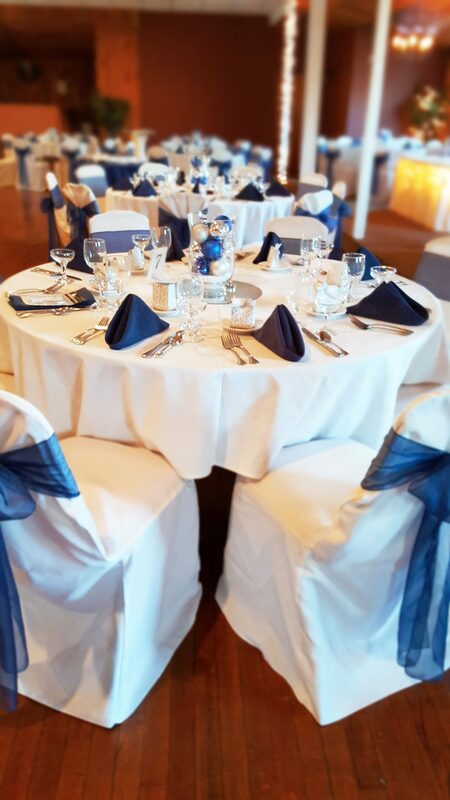 We wear aprons on your special day and therefore are always here to assist you, your family or your guests with any need that may arise during your reception. 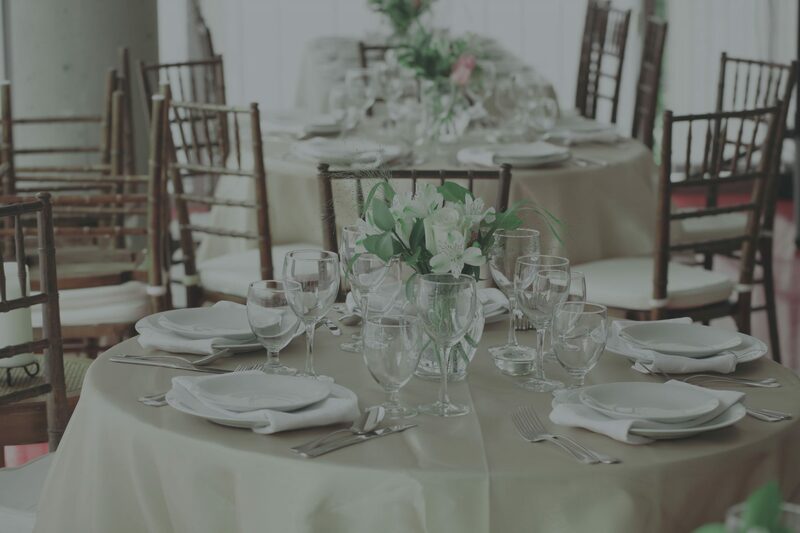 Not only do we provide a center focus around you and your guests, but we are an exclusive event center, meaning that no other events are held at our location on your day. All of our attention is devoted to you and your event, only. Visit our location, and see why everyone falls in love with Saucon Valley Acres. The “Great Room” features barn wood interior and wrought iron chandeliers provides the perfect backdrop for creating a “Country Elegant” atmosphere. This charming banquet room, accommodating up to 240 guests, features one of the largest hardwood dance floors in the Lehigh Valley and a stage for your band or DJ. The “Gathering Room” is a perfect area designed just for smaller weddings, birthdays and banquets. 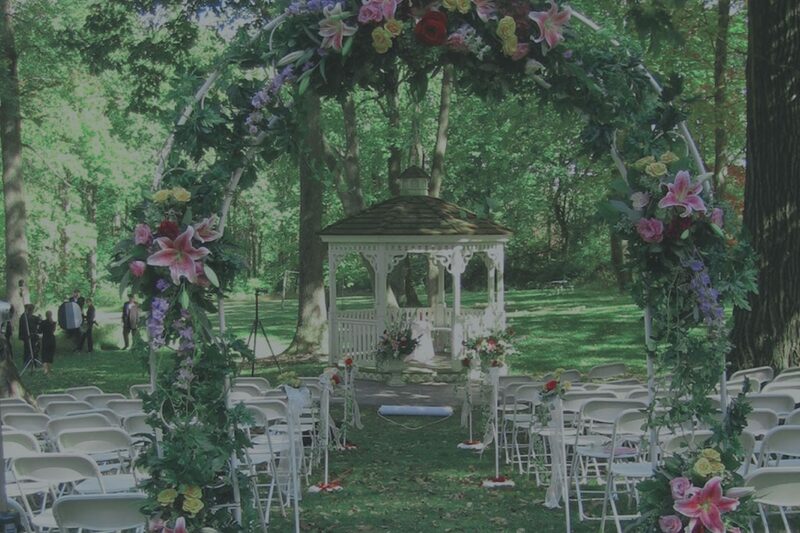 A private wooden gazebo on natural grounds is available for outdoor ceremonies and a lovely backdrop for photos. Our proprietors and staff go above and beyond and are ready to assist with any need that may arise during your reception. Nestled in a tiny corner of the heart of the Lehigh Valley, Saucon Valley Acres is the perfect backdrop for any ceremony. We offer great prices on all of our amazing facilities and services. You won’t be disappointed. Respectful, responsible, and accommodating, we are ready to make your event go smoothly. We invite you to take a tour of our facility and to discuss your event arrangements by calling 610-691-6480 or completing our convenient online request form. We look forward to hearing from you! 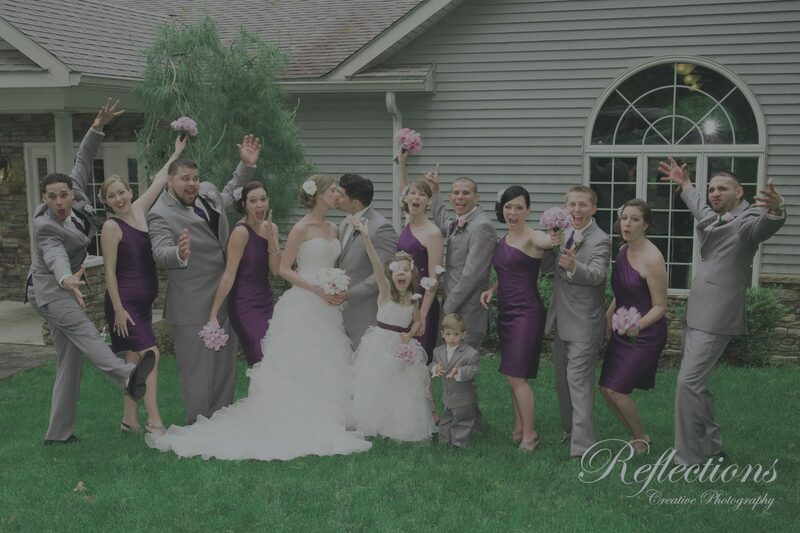 Considered the “best kept secret” in The Lehigh Valley for the past 25 years, Saucon Valley Acres provides a picturesque, rural setting to set the stage for the perfect wedding day or social event. We are proud to invite you to experience our facility to the fullest.